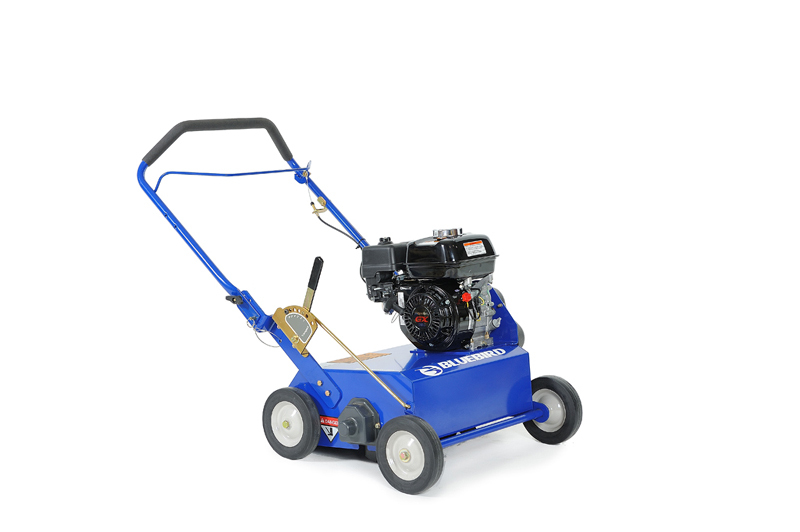 Rental Depot & Party Station, Inc. Rochester Minnesota - Bluebird Power Rake. Free-swinging flail blades efficiently remove matted thatch with centrifugal force. This design provides excellent thatch removal and reliability proven over nearly four decades in the demanding rental equipment environment.